Leave yourself open to a fresh twist in design. 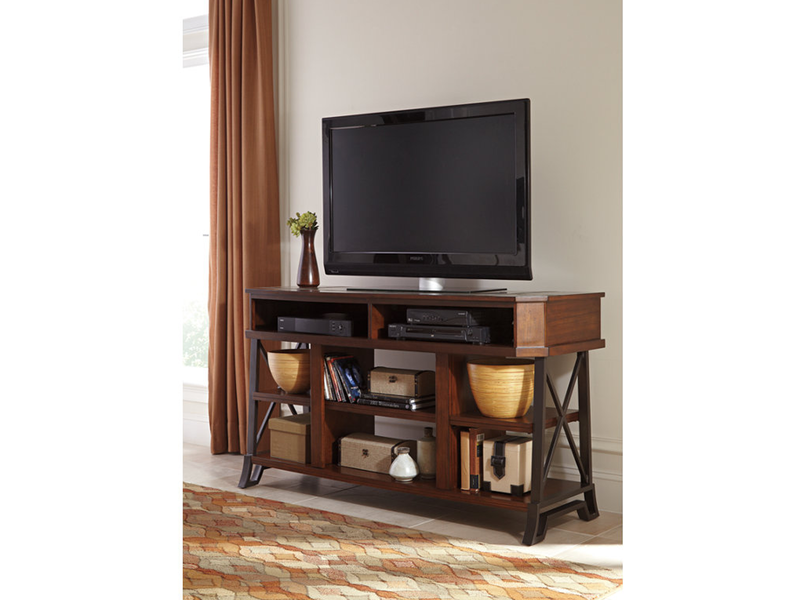 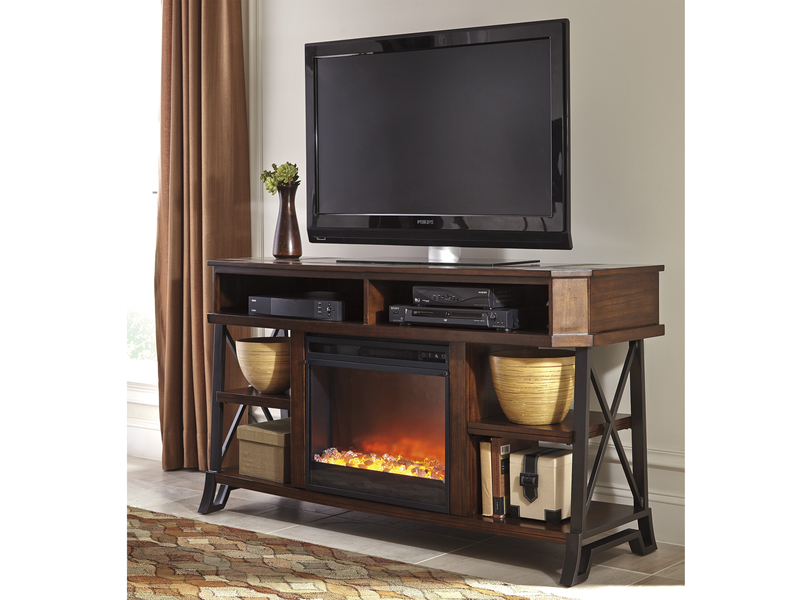 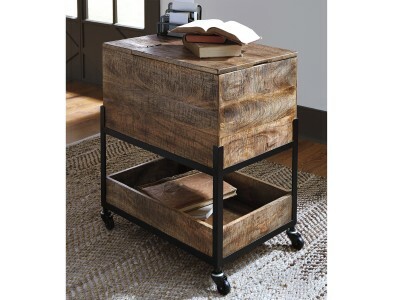 Bastille’s open concept TV stand incorporates the beautifully clean lines you expect from contemporary furnishings with some rustic elements, including inlaid slate tiles and metal crossbar framing. 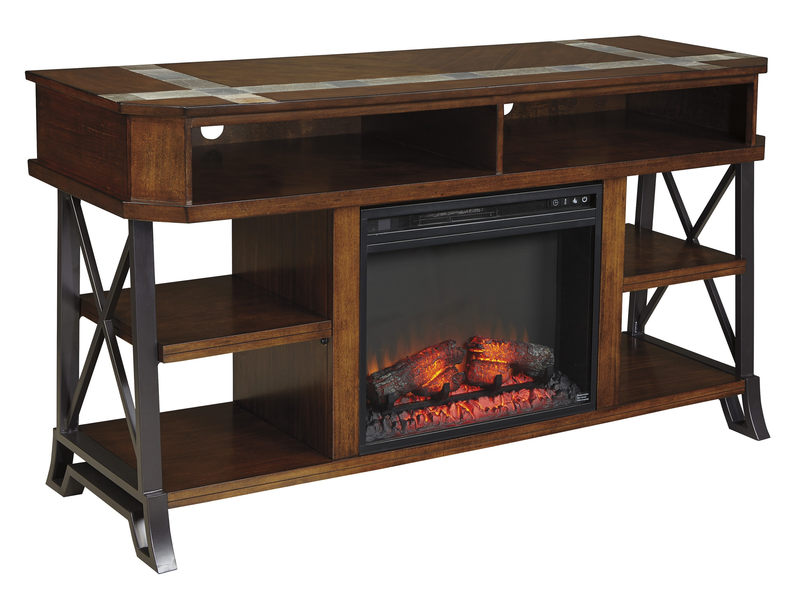 Speaking of elements, by popping out the middle adjustable shelf, you can pop in an electric fireplace (sold separately) with flame feature and remote control.